For most of us, the term Haiku is a Japanese poem consisting of 3 lines. However, to Asphalt Lab, Haiku is the new bike assistant, kind of a information GPS for bikes. Haiku is a different kind of gadget. 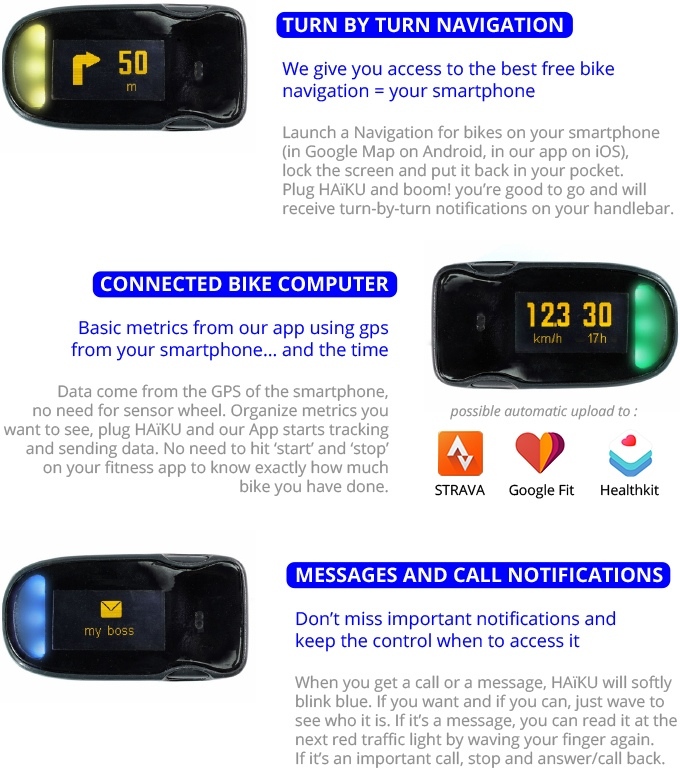 As opposed to a mobile phone which you can’t use while riding your bike, or a bike GPS which doesn’t provide you notifications, Haiku gives you important information while you’re on your bike. One thing about the Haiku is that it is not expected to ship until May 2016. The early backers are already sold out, now the most affordable option is the 70€, the early backers options are already sold out. There is an option for 2 Haiku for 120€. This works with both Apple iPhones 4s and over as well as and newer Android devices. Ready to learn more? Click here to head to Haiku’s Kickstarter page!